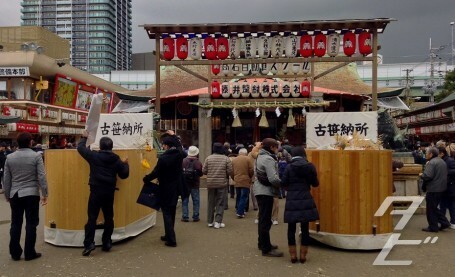 This festival is held annually from January 9th to 11th at Imamiya Ebisu Shrine just south of Namba. 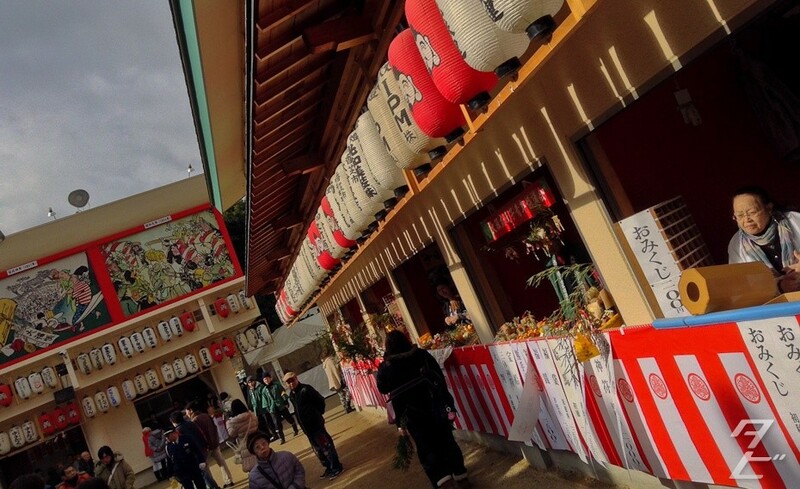 Originally an opportunity for merchants to come and pray to Ebisu(the god of fishermen, luck, and workingmen) for business prosperity in the coming year, these days it’s popular with everyone. 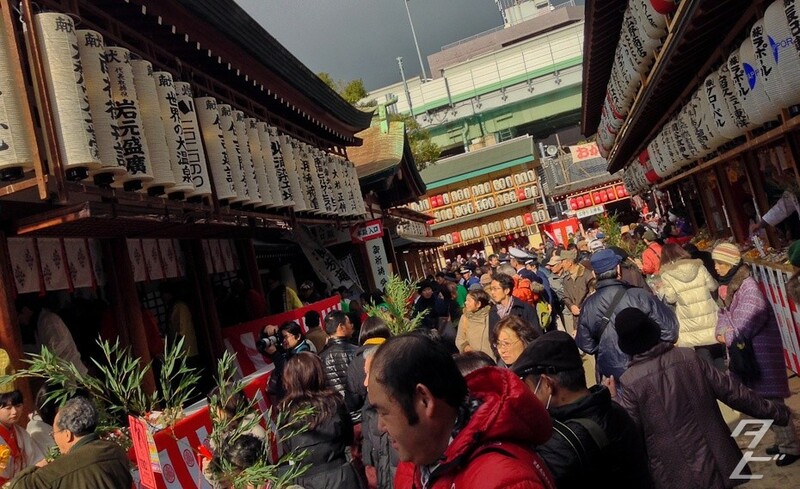 Historically, Osaka is a merchant city, so this festival always draws quite a crowd! 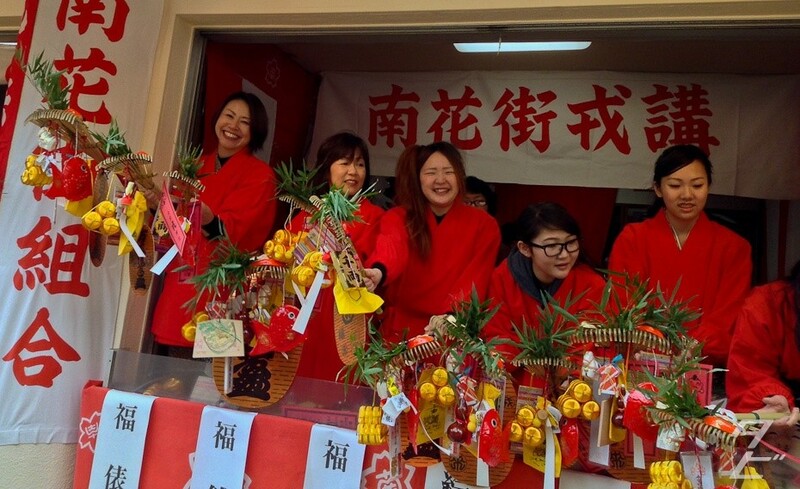 As well as coming to pray, people return their fukusasa(福笹, sacred bamboo branch) from the previous year and purchase a new one, along with lucky charms and items with which to decorate it. 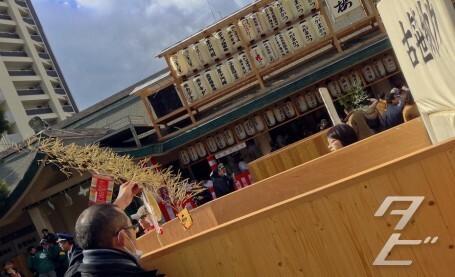 Numerous stalls in the shrine grounds were trying to draw customers to them by cheering and waving their brightly decorated fukusasa. 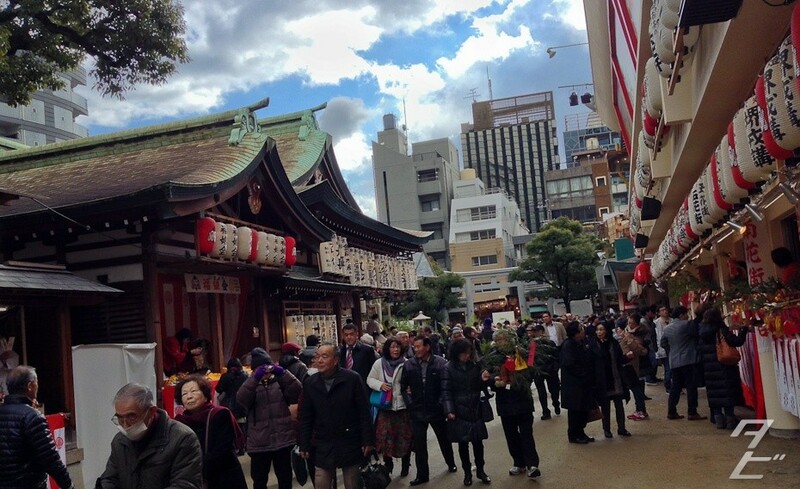 Around the back of the shrine, two large metal gongs are covered in meishi(名刺) – business cards, people were waiting in line to bash the gong with their hand in order to be heard by Ebisu. 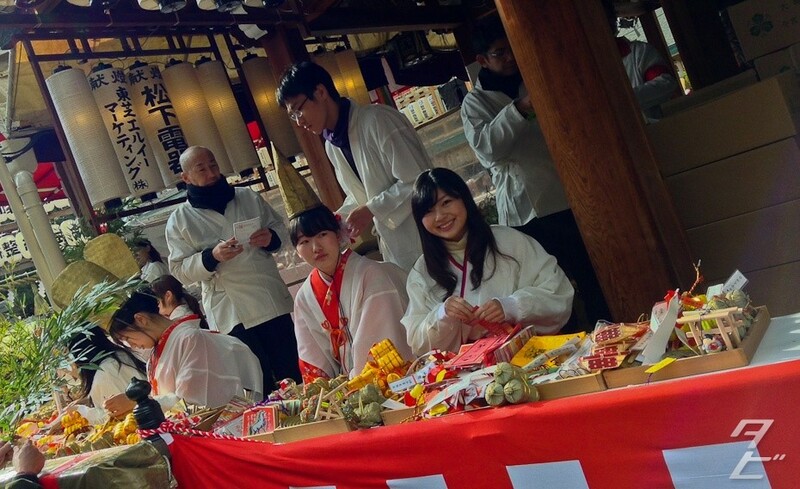 This woman is tying her omikuji(御御籤 / おみくじ) fortune paper to wire in the shrine grounds. 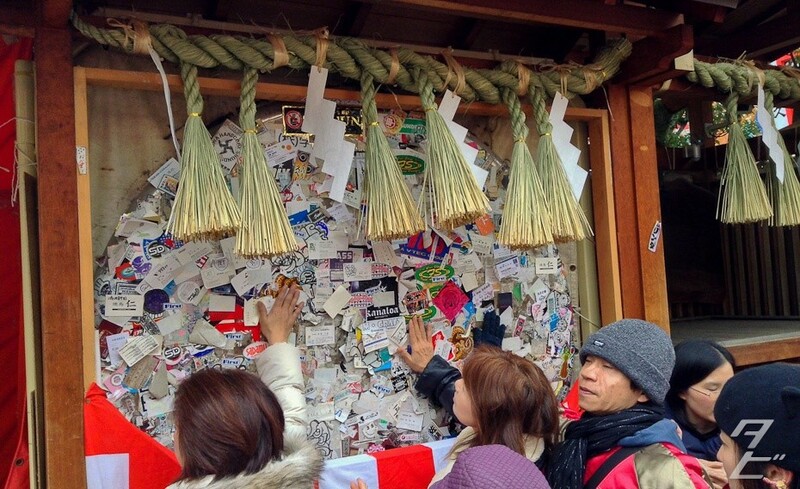 If your fortune is bad it’s customary to do this so the bad luck remains at the shrine instead of following you home. 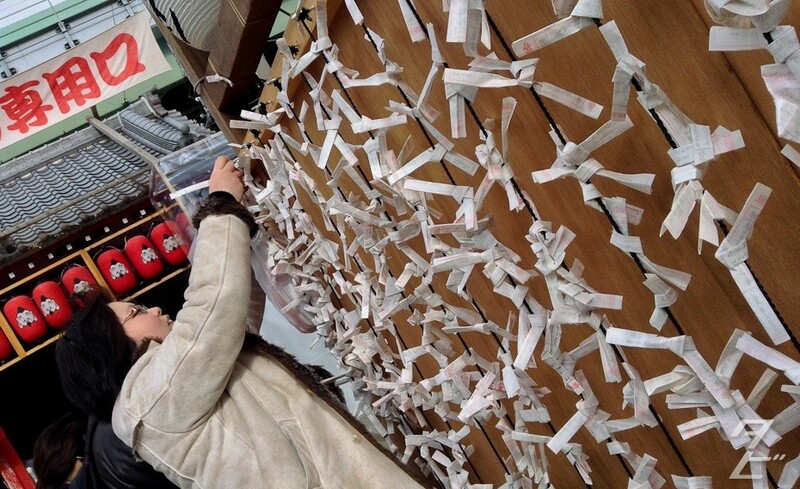 Although, if you get good luck you can also do this to try and boost your good luck even further, so it’s anyone’s guess as to what her fortune was like! 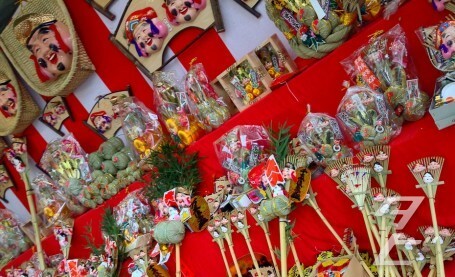 During the festival, the streets around the shrine are closed to traffic and hundreds of stalls to set up selling both regular fukusasa branches and variations such as rakes, for the most part they’re decorated with the big jolly face of Ebessan(a nickname for Ebisu). 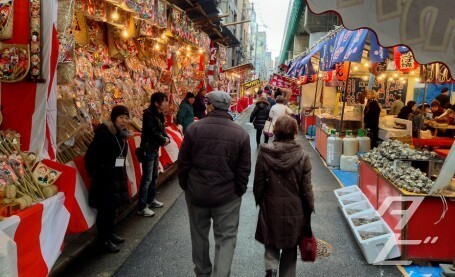 Plenty of street food vendors are there too in case you get peckish. The weather when I visited was a bit off so it was a little quiet, but I can imagine there’s a great a party atmosphere in the evenings. 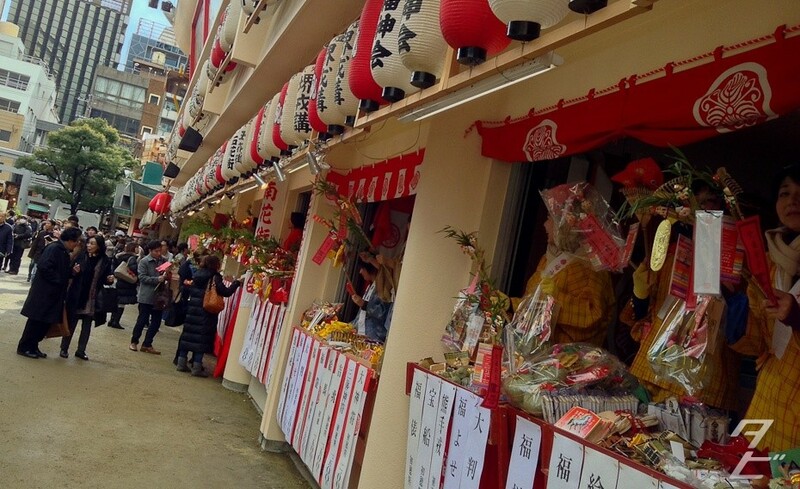 Good luck in business this year!